Story: Harsha, son of a billionaire adopts a devastated village to renovate it better. Review: Mahesh came with a different concept after two blockbuster flops last year. He is undoubtedly one of the best actors in the industry has given one of his best performances in his career. His cool attitude and mannerisms are highlights for the film without any powerful dialogues like in regular movies. Few were repeated costumes. 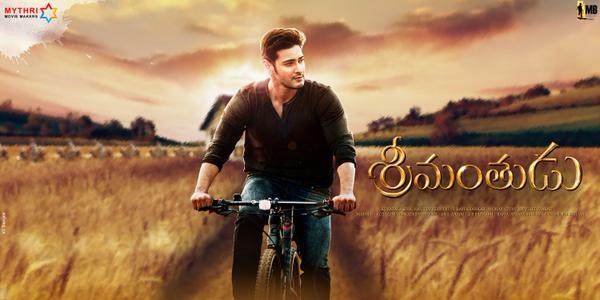 Mahesh will definitely walks away with an award for 2015. Shruti Hasaan's glamour was one more good point, she improved a lot in terms of acting, Her lips looks like borrowed from someone. Jagapathi Babu as father of Mahesh suited well and as a billionaire with attitude. After his complete transformation from hero to character artiste, this will stand as one of his best characters. Koratala siva took a "story" and added commercial elements around it with right elevation at times needed. Though the film starts on a slow mode but picks up the pace in the second half. Thanks to Siva for making for a stylish film. + Points: Mahesh Babu's presence and performance. - Points : Climax, slow narration. Music : Devi has given an average score compared to his previous albums, Charusala was a catchy number. Bottom line: Rich at heart. Story: Feel the story on big screen. Before I jump into the review, I would like to thank S.S.Rajamouli for making biggest motion picture ever in India with his spectacular visualization and perfect team. Ramya Krishna, her eyes speaks everything. I always look for her presence in films since Padayappa. She got yet another powerful performance oriented role after Ammoru and Padayappa. She slipped into the shoes of Rajamatha's with ease. He got the beauty to the Rajamatha. Nassar : He did a very good job as a father of bhallaladeva with his expressions. 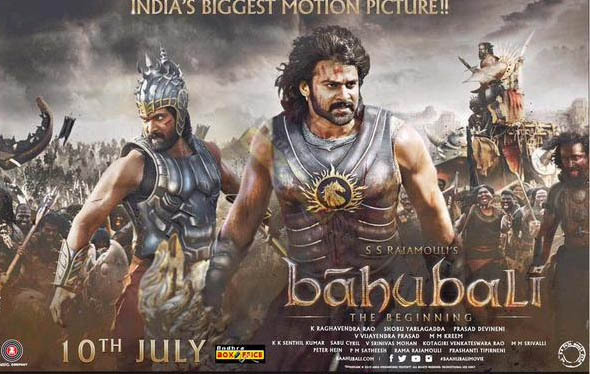 Prabhas : Perfect for Bahubali role, showcases his goodness through out the film. He will be remembered forever by audience. His another role Shivudu was just awesome, initial few scenes where he lifts the shiva linga and the shots taken while climbing the hill stands best in his career. Anushka : Though the role of Devasena was very short but it was a vital character. Her presence as a de-glamourised was good. Rana : The evil performer in every frame. Thanks to his antagonistic expressions and a bulky physical appearance. He would rule Tollywood and Bollywood in the coming future . Kattappa : The slave at heart but shows heroism with his abilities and loyalty to the core. Thamanna : She did a good job as Avantika, the lady warrior. Her chemistry with Prabhas was good though there were very few scenes. Kalakeya: We must talk about Kalikeya, the deadliest. Prabhakar, this guy was just simply superb. His makeup and dressing were highlights in his character designing. Let's talk about the person behind this magnificent film with an exceptional visuals and screenplay. ask him to make coffee with 100/- , he would give STARBUCKS coffee in return with the same money. His screen writing skills were exceptional. He deserves to be equally respected with the legendary directors of India, he is no less to Hollywood directors as well. We could see each penny spent in this film on screen. The people of world cinema will start recognizing Tollywood before Bollywood. This will stand as the movie of the century from India. + Points: Cast is the biggest asset to the film, cinematography. - Points : Little slow narration in first half but there is no problem with that. It is needed to make audience to get the thrill at the right moment. Music : The background score by M.M. Keeravani has given yet another brilliant like he did for all Rajamouli's films. Final Note : While making a biggest motion picture ever, there would be few flaws which could be easily waived off compared to the best shots of the movie. I won't say, the movie was perfect without even a single mistake, there is that rope pulling scene where it looks very unreal that rope was lose when Shivudu pulls the statue of Bhallaladeva. I am not criticizing this scene, I am wondered how Rajamouli could miss a small logic. Climax : I want to make a point about the climax, NO it is not ended abruptly. He ended at the right moment to carry the suspense till next year. Suggestion: Don't even think to skip this movie. These kind of movies comes in a while to be watched on big screen. Story: O Kadhal Kanmani/OK Bangaram is a story of a boy(Adhi) and girl() who are very aspired about their careers with Mumbai as a backdrop. They both stay in a live-in relationship in an old couple's home as both of them don't have good opinion about marriages and rest of the story bounds whether they went into wed lock or not. Review: Mani Ratnam is back with his favorite genre(Romance) by teaming up with A.R Rahman, the best combination for love stories in terms of visualization and music. The story starts with director's style of making, the scenes are very lovely and naturally pictured. The characters and dialogues are realistic. This film is a very youthful entertainer. One would doubt that this was really directed by Mani Rantam, Oh Yeah! This depicts the story of the present youth in India. The chemistry between Dulquer and Nitya was one of the highlights. They made the story elevated with their performances. Prakash Raj has played a prominent role in the film. We should talk about music by A.R Rahman, music was a sure shot highlight of the film which uplifted the scenes. Mental Madhilo is my personal favorite and Raara Aatagaada. Note: There is a hiccup around the story line saying that live-in relationship might affect youth with wrong vibrations. What's wrong in that. Grow up people. - Points : Little slow in some places. Suggestion: Go and fall in love with Bangaram. Bottom line: Mani Ratnam is back with a BANG! Story: This is a story of a person, Viraj Anand whose father dies in an accident. The remaining story is about how Viraj carried the values of his father. Review: Allu Arjun till now acted as a lover boy, in this movie he acted as a loyal son to keep up the values of his father even after his sudden death. He did his part well and shared the screen in every single frame of the film. He carried the sentiment very well in climax scene. Samantha and Nithya did well though they didn't last much on screen. Trivikram has gone in Bollywood style by casting a big time in the movie with no appealing story. He even tried to capture the audience of Tamil Nadu by making the story around Tamil region, this must the idea of Allu Arjun as he was lacking in Tamil box office. Trivi should concentrate more on story, he must have thought while scripting the story that like his last film Attarintiki Daredi, if one make the story around sentiments, it would appeal to audience but one would expect a story. Upendra's role is one of the highlights and his presence left a mark on the film. Thanks to Trivi for casting him. Rajendra Prasad did a very confusing role in this film, I couldn't get the complete understanding about role as it acts weird at times and funny some times. Music played an important role, Super Machi and Seethakalam songs are the chart busters. - Points : Routine story with weak execution. Interesting Points : Upendra acted in Telugu after a long gap. Bottom line: Sentiment won't work all the time. Story: This is the story of Daya, a corrupted police officer who does anything for money. Review: NTR has given an high voltage performance after a long time(after Raakhi). This film is a complete makeover for NTR right from hair, costumes and of course body. His character is the main highlight of the film. First half goes as a routine story but highlights the mannerism and characterization of hero. The second half would be like a gooseflesh ride(I don't want to talk about more on this, you feel it). Prakash Raj as usual delivered an impressive performance. Posani's character will leave a mark in everyone's mind. A meaningful character. Kajal has given a decent performance. Ali and Saptagiri wasted. The climax scene was never ever seen in any of the past films. + Points: NTR, background music by Mani. - Points : No content in first half. + Interesting Points : Climax twist. Bottom line: Theaters need to increase A/C cooling in second half to withstand the temperature. Story: Lingesan is a body builder dreams of becoming Mr.India. He happens to meet diya, a top model and remaining is the story. 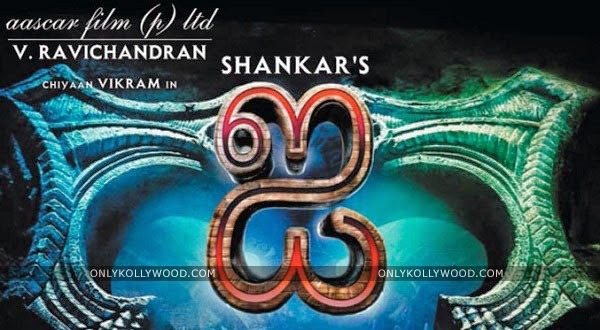 Review: The most talented director of India, Shankar came up with another small story by executing his out of the world thoughts to the story. Thanks to his grandeur presentation of the story. He is the best in filtering the exotic locations for songs. He has made best ad films as part of the story better than the ones which are running in the small screens now(Televisions). He should have cut shorted few scenes in the editing room itself. Personally I liked the song "Pareshnayya" for its picturization. Vikram has given the one of the best performances in the three different characters. We must appreciate him for his spell bounding dedication for a cinema like this. He did lot of transformation to his body. His acting and appearance makes us amazed. His performance as a hunchback was a terrific one. Amy Jackson was really fitted into the role of a super model(as in real life). She was gorgeous and sensuous and she got some space to do some acting after doing couple of films in the past. Suresh Gopi was good as a doctor. + Points: Vikram's acting, locations and cinematography. - Points : The duration is too long. + Interesting Points : Three distinct roles by Vikram. Suggestion: Go and watch it, just for Vikram. Bottom line: Vikram, Vikram and Vikram! Story: Gopal Rao is an atheist. One day his shop collapses because of natural calamity. Later what happens is the story. 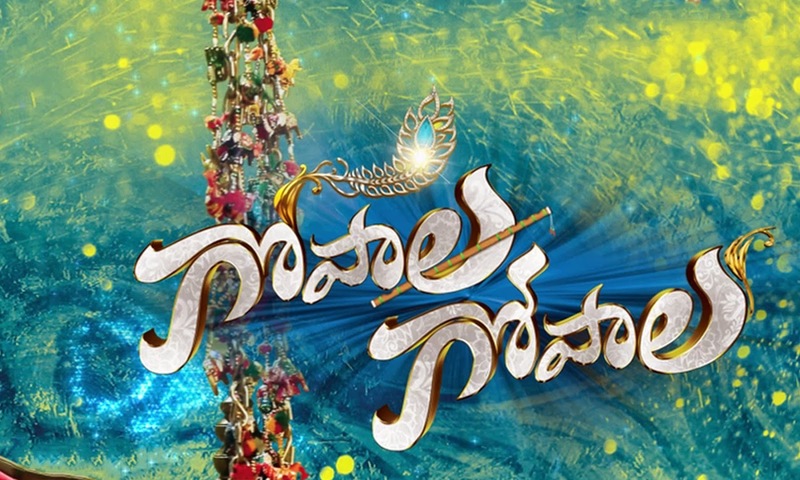 Coming to Gopala Gopala, Pawan Kalyan as god has done an excellent job with his mannerisms,punch dialogues and presence. The story was completely same as it was in the original but Pawan as lord krishna makes us feel different. Thanks to his POWER. Venkatesh need less to say, he is one of the best actors of tollywood once again proved himself with his acting, he carried the story very well with a touch of humor especially the court scenes. Everyone would compare Venkatesh with Paresh Rawal in terms of performance. I feel Paresh did well as he was a well settled stage artist and played the same role on so many stage shows before making a film out of this story. Personally I liked the scenes between Pawan and Venkatesh. OMG movie goes with a serious plot makes us involve in the story, where as Gopala flows with the same feel but with a pinch of humor. This movie is a path breaker for all the movies which are currently running in theaters. I wish tollywood would come up with these kind of distinct plots. We should thank Mithun for reprising the same role. Shriya and Krishnudu did their part well. - Points : Little long compared to original. + Interesting Points : Mithun cameo and Pawan and Venki acted first time. Suggestion: Must watch. Don't miss it. Bottom line: Its pure Venkatesh entertainer.